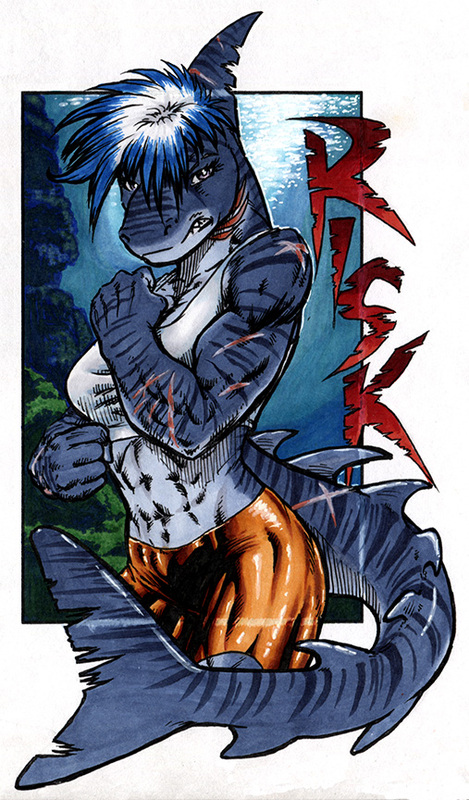 Another badge, taken up at MFF. Colored using copics and liberal use of a white gel pen. Risk is property of Cake Monstrel. Artwork is © 2018 Adam Fullerton.